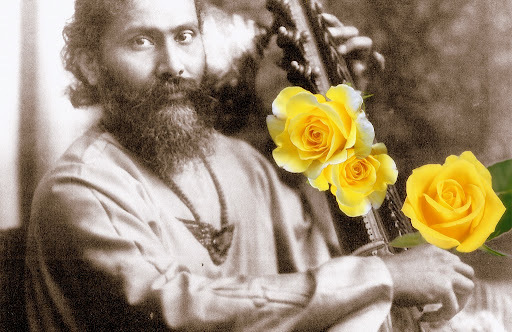 Hazrat Inayat Khan was trained as a musician and a Sufi of the Chishti order and gave concert tours of Indian classical music in the United States and Europe. The Hand of Poetry offers entrance into the world of beauty and truth. Hazrat Inayat Khan once said, “What is spoken from the heart reaches the heart.” The sayings, poems and prayers in Gayan Vadan Nirtan have come directly from the illumined heart and soul of Hazrat Inayat Khan. Awakening of the Human Spirit describes, in a thorough and understandable manner, the sequence of inner stages which a person goes through in the process of spiritual development. The teaching advocates not a withdrawal from the world, but making spiritual ideals a reality in one’s daily life. Development of the personality and a natural mode of life through training of the ego, tuning the heart, and developing will power.The Art of Being and Becoming gathers Inayat Khan’s teachings on what the Sufis consider the fruit of the whole creation -- the divine art of creating the human personality. This is a daily guide. This booklet contains wisdom and enlightenment for daily use. Open it and read the inspired words by Hazrat Inayat Khan. Moreover one may use it as a reminder of the birthdays of one's relatives and friends. Request them to sign the book on the date of their birth, and it will be as a treasure house of your dear ones. Sayings and aphorism of Inayat Khan. Flashes of inspiration contemplate daily life and divine consciousness.The Complete Sayings contains the essence of Inayat Khan’s teachings within inspirational poetry, aphorisms and prayers. It is an act of love, in our time, to take upon oneself the creation of a truly human personality. Hazrat Inayat Khan gives an introduction to a range of qualities which are necessary for the accomplishment of this work.